Properties in Mangakuri Beach average 4.6 out of 5 stars. Wonderful hideaway! Absolute beach front bliss! Property 1: Wonderful hideaway! Absolute beach front bliss! 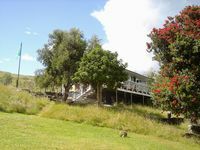 Kairakau Hideaway close to beach! 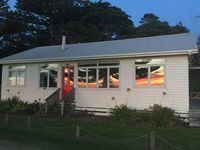 Property 4: Kairakau Hideaway close to beach! Sunny and well appointed Kairakau beach house. Property 5: Sunny and well appointed Kairakau beach house. Classic 50s bach in stunning location. Raised above the beach which enables great views. Wonderful puriri tree &amp; other plantings.including an enormous fig which overhangs the outdoor shower.